that Chad (Elder Lewis) sent to Andy after Andy had been sent back to the USA due to manic psychosis. Return to Bipolar Disorder in Truth page. The Chinese have a saying: “Zhen Jin Bu Pa Huo Lian.” The translation is: “true gold does not fear the refiner’s fire.” The saying has inspired me with its wisdom and power ever since I returned home after serving a mission in Taichung, Taiwan. I shared that saying with my Special Teams Coach of the Philadelphia Eagles, John Harbaugh, and he liked it enough to have T-shirts and shorts made up with the Chinese writing of the saying on them for the entire team. It was a perfect fit. My teammates loved the beauty and intrigue of Chinese writing as well as the inspirational message behind the words. It is one thing to talk tough and sound fearless by reciting a classic Chinese proverb in the face of adversity. It is quite another thing to be tough and fearless in the face of adversity. If you are like me, you probably need someone to show you the way. 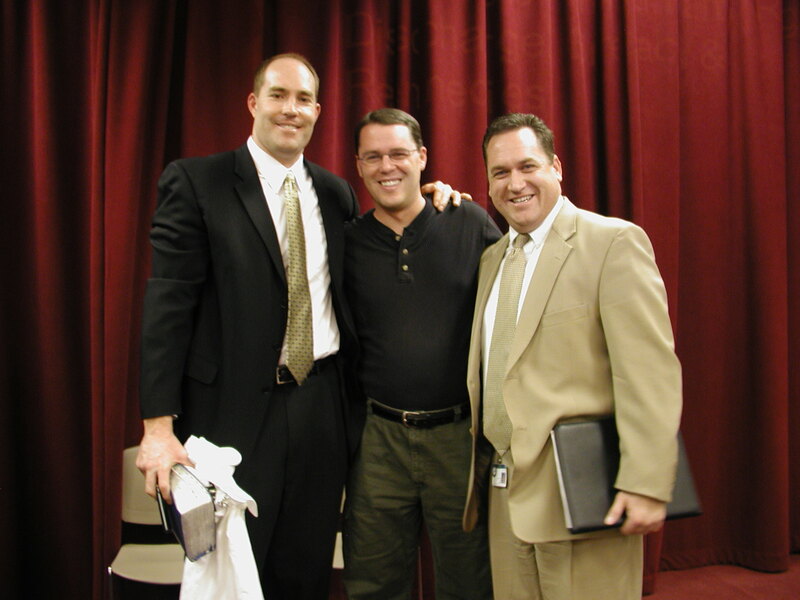 I was lucky enough to serve in the same mission at the same time with Andy Hogan. He was one of the noble missionaries who had enough courage himself to share his fire of faith with me in a way that inspired me to face some of the early challenges of being a Taiwan missionary. 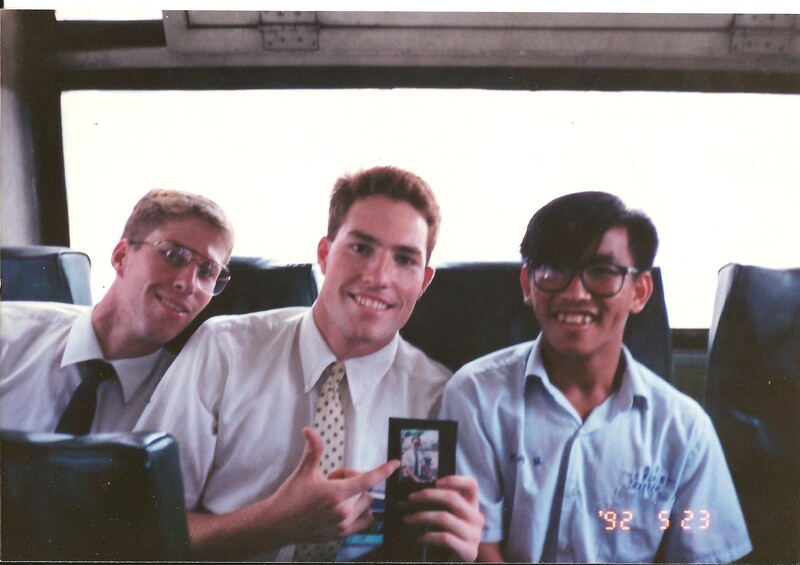 During our language training in Provo, Utah Andy and I lived together for one month before we headed over to Taiwan. It was during that month together while getting to know Andy that I started to appreciate his gift to speak the language and his love for the other missionaries. He inspired those around him to stare into the face of adversity and march forward. What adversity can there be as a Taiwan missionary? Learning the language, adjusting to the culture, memorizing the 60 or so pages of missionary lessons in Mandarin, and trying to love others with the same love that the Savior, Jesus Christ, loves us with, just to name a few. During my first few days in the training center Andy and his companion, Ken Bown, were so encouraging to me that I felt as if it was possible for me to learn to speak the difficult language as well as translators for the U.N. I could also feel a Christ-like love and concern from Andy that made me feel comfortable, as if he was a big brother who had my back. When I arrived in Taiwan and was assigned to the city of Yuan Lin, I attacked the requirement to memorize the missionary lessons with all the fire and energy I had. It only took a short while to realize that I had just run into a major brick wall, one that hit harder than linebackers in the NFL. Memorizing the lessons in Mandarin was a true test. I felt so discouraged. I talked to Andy and just like in the training center, he was inspirational. He told me that he would pray for me. Once again, he had my back. It was a month later when I saw Andy at a church gathering and he asked me how I was doing. He told me that he had been praying for me, and because of his sincerity, I could not hide my emotions. I cried tears of gratitude and appreciation. His prayers had helped me conquer the brick wall of memorizing the lessons. I felt so honored to have his help in the midst of my trial. A few months later, when I found out that Andy had a chemical imbalance while he was working in the city, Chao Chou, and consequently was sent back to America, it broke my heart. 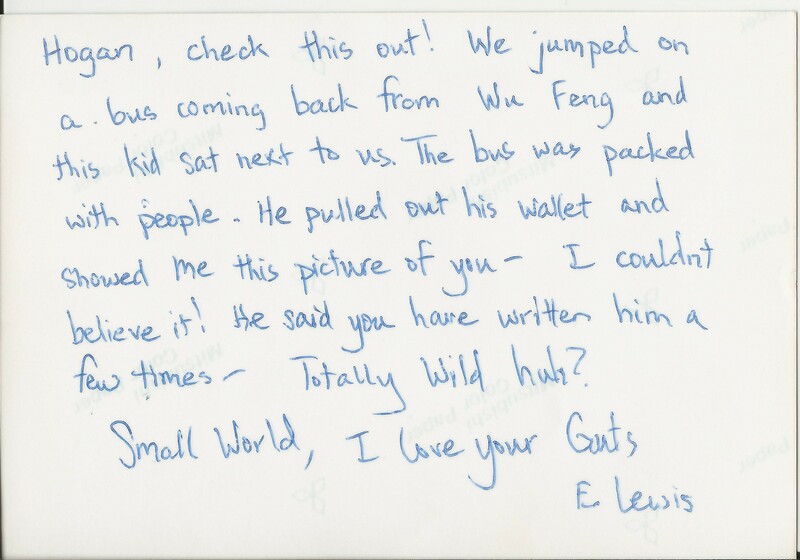 I knew how much he loved being in Taiwan. My companion at the time was his missionary training center companion: Ken Bown. We prayed for Andy as he prayed for me. We made a tape for him where we sang songs and tried our best to let him know how much we cared about him. His absence left a huge void in our mission. Now, two decades later, I am so glad that Andy has the courage to open himself up to the world by telling his personal story. I love the way he writes and describes life with nature, music and his own creativity. I have read this entire book, and believe it would be a great read for anyone who desires to understand what really goes on in the mind of someone suffering with chronic bipolar disorder, and how he learned to live a fairly normal life despite it. By reading this story of Andy Hogan’s life, I have learned more about how much our Savior loves us. God didn’t abandon Andy during Andy’s extreme manic breakdowns or deep depressive episodes. The Lord was simply refining His gold. I feel fortunate that I was able to stand next to Andy Hogan as a missionary in the Taiwan, Taichung mission. Our mission president, Kent Watson, taught us to surround ourselves with greatness. Standing next to Andy Hogan, I was. Since music is a huge part of Andy’s life, I will finish with one of my favorite hymns. It gives me so much strength and courage to face the refining process that we all go through. Lead, kindly Light, amid the encircling gloom; Lead thou me on! Keep thou my feet; I do not ask to see The distant scene—one step enough for me. I (Andy) am the sole owner and manager of Bear Canyon Press, LLC. I personally manage all content, sales, and communications for this site.